The publishing programme of the NCERT is a part of its total effort to improve the quality of school education. The NCERT textbooks published in English, Hindi, and Urdu languages have the unique distinction of being once attractive and inexpensive. The setting up of the NCERT in 1961 was a landmark in the history of school education in India. Since its inception, the NCERT undertook in a phased manner, a major programme of preparation of model curricula, syllabi and textbooks for the entire school stage. The NCERT faculty also collaborated with the State Education Departments and specialized agencies like, Textbook Bureau, Textbook Corporations etc., in formulation of their curricula and instructional materials. Among other things, the NCERT acted as a academic secretariat of the National Board of School Textbooks (NBST) which was set up by Government of India in 1968 in order to co-ordinate and guide the activities of the national level and the State level organizations for production and several suggestions regarding preparation, evaluation, production and distribution of school textbooks and emphasized the societal concerns like national integration, secularism, and democratic living should find adequate reflection in the school textbooks. AT the instance of the Government of India, the NCERT, since 1969, has inter alia, been working on a programme of evaluation of the textbooks of the states and Union Territories from the standpoint of national integration. It has also remained associated, more or less, with the matters related to policy formulation and implementation in respect of school education. Keeping in view the emphasis on societal concerns like equality of sexes and population education, separates/Units have been created in the NCERT for ensuring their suitable reflection in the School curriculum. The NCERT has progrmmes for encouraging talented school, children, innovative teachers, teacher educators and promising scholars wanting to pursue research studies. Every year the NCERT awards 750 National Talent Search (NTS) scholarships-including 70 for students belonging to SC/ST communities. The purpose of this scholarship scheme is to identify talented students at the class X stage and give them financial assistance for pursuing higher studies. Students bagging these scholarships may pursue, or take up professional courses up to the second degree level in such areas as engineering or medicine. In order to encourage experimentation and innovations, the NCERT organizes separate programmes for primary and secondary school teachers and elementary and secondary teacher educators. Called Seminar Readings Programmes these schemes envisage giving awards for significant innovative work by teachers and teacher educators. The NCERT also awards research fellowships leading to Ph.D. degree of for doing post doctoral work, Only those scholars who clear the test administered by the University Grants Commission (UGC) are eligible for Ph.D. fellowships. The NCERT sponsors and encourages out of school activities for popularizing science. The organization of science exhibitions at the district state and national levels is a part of his effort. 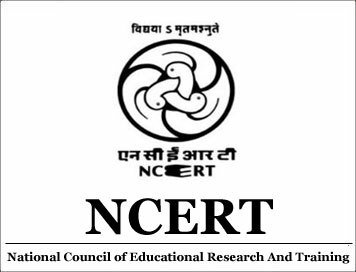 The educational Research and innovations Committee (ERIC) of the NCERT funds research programmes taken up by scholars both within and outside the Council. The projects, however, are to have a direct bearing on either school education or teacher education. The ERIC also holds periodic conferences of educational research workers. Having funded publication of surveys of educational researches in India earlier it has now taken upon itself the task of compiling such research volumes as well. The NCERT offers financial assistances to professional associations in the field of education for holding annual conferences and publishing journals. The NCERTs international ranges from working with the united Nation’s institutions like UNESCO, UNISEF, UNDP, UNFPA etc., to assisting Third World Countries. It serves as the academic secretarial of the National Development Group (NDG) or the Asia and NCERT has been providing technical support to the states in the planning and implementation of various programmes to promote vocationalisation at the plus two stage. It has also been engaged in development of competency-based curricula for different vocational courses, development of guidelines for implementing different vocational courses, development of guidelines for implementing different aspects of vocationalisation of education, development of syllabi and instructional materials, training of vocational teacher educators, teachers and other personnel. For orientation in favor of values, the common core components viz., (i) History of India’s freedom movement, (ii) Constitutional obligations, (iii) Contents essential to nurture national identity (iv) India’s common cultural heritage (v) egalitarianism, democracy and socialism, (vi) equality of sexes, (vii) removal of social barriers, (viii) observance of small family norms, and (ix) inculcation of scientific temper, emphasized in the National Policy on Education, are suitably reflected in the curricula and instructional materials of all subjects and at all stages of school education developed by NCERT. With the view to meet the challenges in realm of teacher education, “Teachers Education Curriculum-A Framework” (1978) developed by the National Council for Teacher Education (NCTE) had been revised in 1990. This framework provided for transformation of the preservice teacher education structures and processes related to elementary and secondary teacher course. NCTE now granted a statutory status by the Government of India is in a position to persuade the states for acceptance of these recommendations. Programmes and activities related to the training of the personnel of the centrally-sponsored institutions DIETs, CTEs and IASEs are being implemented by the NCERT. A few examples of the self-instructional materials and multi-media packages are (i) the “In-service Teacher Education Packages” for primary school teachers and secondary school teachers, and (iii) the multi-media packages developed for operationalizing the operation blackboard scheme. A major component of examination reform has been linked with the recommendation regarding introduction of semesterisation of the senior secondary stage. The NCERT has developed a framework for semesterisation in collaboration with Boards of Secondary and Senior Secondary Education. In this context, scheme of continuous and comprehensive evaluation has been evolved and circulated among the SCERT and Boards of Secondary Education. NCERT has also developed conceptual materials related to educational evaluation, preparation of criterion-referenced texts and the training of test item writers in different subjects’ areas. It has also developed a sample cumulative card along with procedures for maintaining records of pupils, achievement and guidelines for introduction of grading and grading and scaling in examinations. A project titled “Learning Attainment of Children in Language and Mathematics at Primary Stage” has been completed. A similar study on scholastic attainments at class X and XII level has also been completed. A national talent search scheme is in operation for identification and nurturing of talent of class X. NCERT has also undertaken a programme to identify talented children in rural areas as per requirement of admission to Navodaya Vidyalays. (e)To act as a clearing-house for ideas and information on all matters related to school education. With a view to carrying out such functions effectively, the council works in close co-operation with the Education Department in the States and the Universities and generally with all organizations in the country for furthering the objectives of school education. Besides, the council maintains close relations with similar national and international agencies maintains close relations with similar national and international agencies throughout the world. In order to implements its programmes efficiently it has not only a large number of advisory bodies, but also it has an array of executive as well as academic institutions, departments and organizations throughout the country. It also maintains a liaison with all the state Government through the network of offices of Field Advisers.